Does your content need embellishing or needs to make more of an impact? Do you need to translate one of your interactive presentations or rewrite/improve your content? 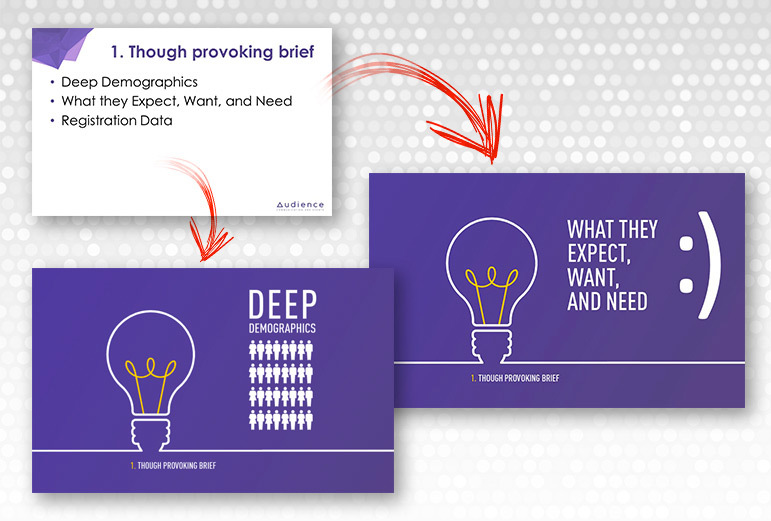 Are you planning on improving your content by integrating a design and presentation elements that will make more of an impact on your audience? Dialekt is there for you. The main mission of our designers and graphic artists is to enhance your PowerPoint or Prezi presentations and to make sure all your requirements are met. With many years of experience, and specialization in design, cutting-edge presentations and interactive animation, our team ensures all your needs are met by improving your existing PowerPoint or Prezi presentations. From conception to live presentations, we support you through every step with expertise and professionalism. Let Dialekt help you bring your interactive presentation to life, and make it impressive, professional, and above all, convincing.